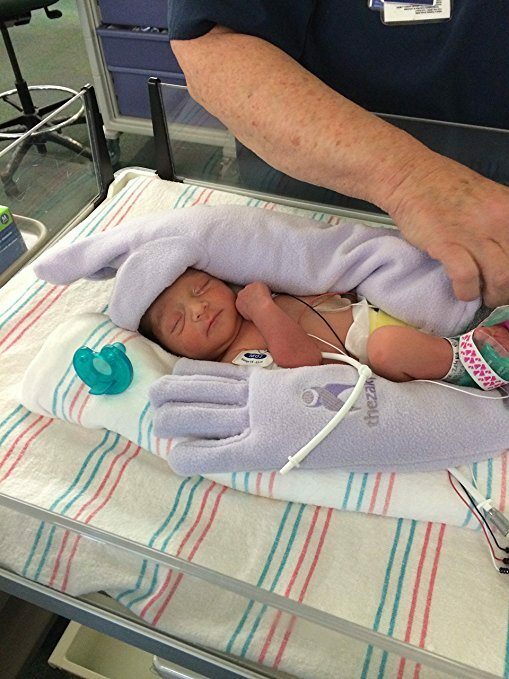 It is heartbreaking for a new mother to have to leave her baby in the NICU. Walking out of the hospital without your little one in your arms is devastating. The worry is constant: Will he be alright? Does she know how much I love her? Does he feel safe and protected? Does she think she is alone? When can I hold him in my arms? How overwhelming. Luckily, many NICU nurses and doctors are as devoted as parents to providing the very best care for these wee ones. One such amazing parent is Yamile Jacksonhttps://3apq7g38q3kw2yn3fx4bojii-wpengine.netdna-ssl.com/wp-content/uploads/2017/01/4523482582_c49635fa55_o_nicu.jpg, a former NICU mom who is now helping to make other NICU mothers and fathers rest a little easier. Jackson, who has a Ph.D. in ergonomics and engineering, had a son named Zack, who spent time in the NICU. Like most parents, she was overcome with anxiety and sadness at the thought of leaving him behind in the hospital. So, she created a unique solution: She stuffed a pair of her gloves and laid them beside Zach. Not only did they have her scent, but they helped to re-create the weight and warmth of a mother’s touch. The nurses were so impressed by the creation that they asked her to make more for the other babies on the floor. And so the Zaky HUG was born. The Zaky HUG is a pediatric bolster that helps ensure that NICU babies are getting the comfort and closeness of a parent’s loving touch. Touch is absolutely crucial for human development. Studies have shown that babies who are not touched and snuggled will suffer from failure to thrive. Their brain development can be affected and sometimes they develop aversion to touch. Yet sadly, many babies in the NICU cannot always be snuggled and loved on by a parent. So, for these babies, the Zaky HUG is truly a blessing. 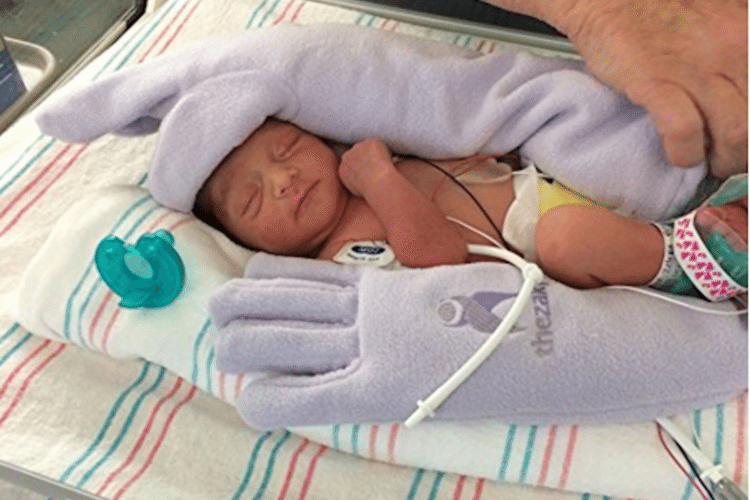 This brilliantly simple invention comforts babies in the NICU. 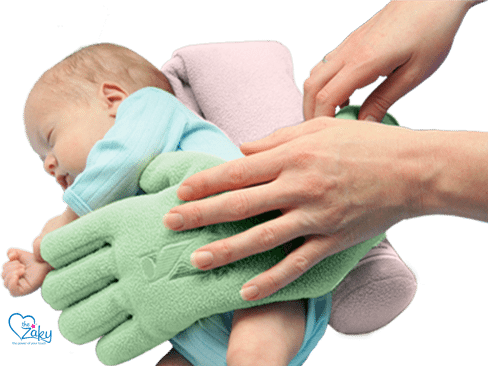 Not only that, but the ZAKY also works to ensure that the baby is positioned correctly. Babies who are in one position too long can develop a flat head and other physical problems. With the ZAKY, the baby can sleep in a nice, neutral position that is both comfortable and safe. Of course, it should be noted that safe sleep recommendations advise against putting anything in a crib with an infant. In the case of the Zaky’s use in the NICU, we imagine the babies are under close supervision of nurses, not to mention connected to monitors that will alarm if the baby stops breathing. You can purchase the Zaky HUG for $99 from the company’s website or from Amazon. Parents considering the use of this product at home should consult their pediatricians and ensure they are familiar with safe sleep recommendations before doing so. 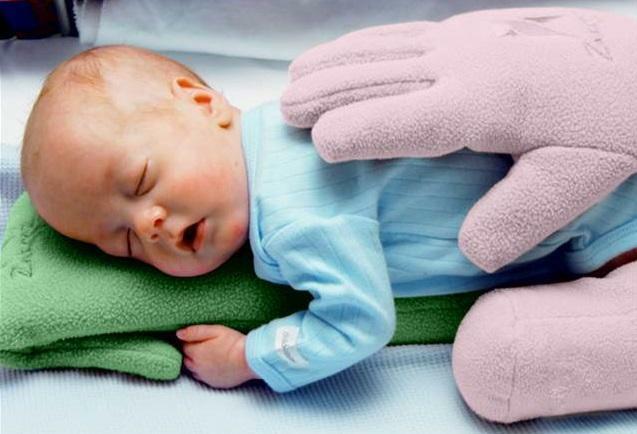 The company that makes the Zaky HUG also sells other products for newborns. 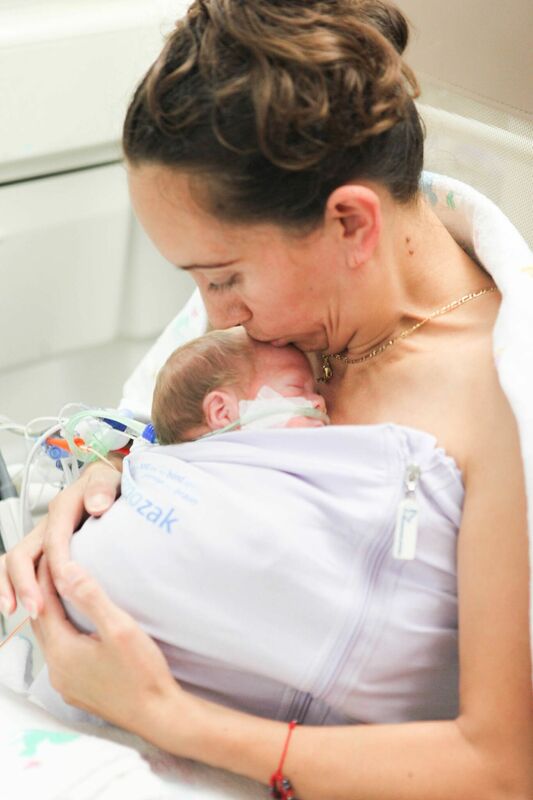 The Zaky ZAK, for example, is designed so new parents can comfortably do kangaroo care, also known as skin-to-skin contact, which is believed to have significant health benefits for infants. The Zaky ZAK can be purchased for $59 on the company’s website. The actual Zachary, who inspired these products when he was a premature baby, is now 16 years old. Last September, he launched a GoFundMe page to raise money to provide Zaky products to newborns in hospitals that were impacted by Hurricanes Harvey and Irma. He even delivered gift boxes full of products to families in the NICU at Houston Methodist Hospital. Originally published on Jan. 23, 2017 and updated on March 9, 2018.